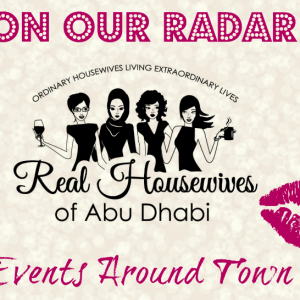 Last week the Real Housewives of Abu Dhabi rolled out the red carpet for an exclusive event held at a private villa in Khalidiyah. 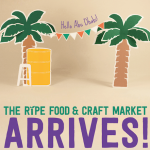 The event was held to raise money for Rice for Ramadan – A Feel Great Helping project. We like to have fun with everything and this was no exception. All the ladies arrived looking as fabulous as ever. 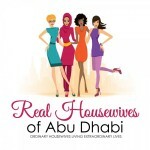 The housewives shopped and socialised whilst enjoying delicious treats and fresh coffee. We specially chose a few select vendors for the event which included beautiful art, stunning jewellery, fantastic clothing, and even toys. There quite a selection available for the ladies to view over the course of 3 floors. The ladies were also treated to a make up touch up and nail change by Tashriha Salon. Also available were hair extensions by Master Stylist Sabrina Kern. There was a lot to do and see in such a short period of time. It was a remarkable morning spent with extraordinary ladies. Events such as these are not possible without our fantastic sponsors. This year the sponsors were especially generous which meant everybody that bought a ticket went home with an incredible swag bag filled with useful goodies. We would like to give a big THANK YOU to our GOLD Sponsors. 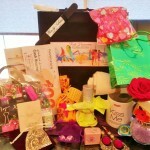 Not only did our GOLD Sponsors contribute to the Swag but they also donated a prize for the Raffle. With out them we would not have raised as much money for Rice for Ramadan: BaitZait, Bright Beginnings, Christina Eventz, Maven Spa, Bright Point Women’s Hospital, Silkor, Abu Dhabi Pottery, and Dahlia Photography. We would also like give a big hug and kiss to our Silver Sponsors: Jacqueline’s Jewellery, Dazzle by Asma and Nigar, Master Hairstylist Sabrina Kern, Tazriha Salon. 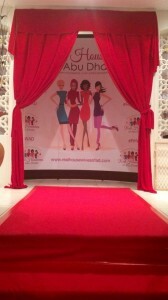 We also want to thank our Red Carpet Sponsors: Journey Toys, UAE Murals, Once Upon a Tea Time, Nexus, Personalise IT. 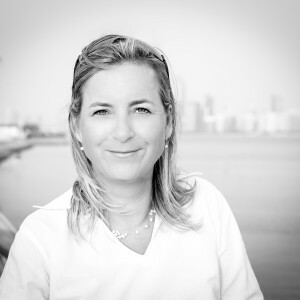 I would like to give a Special Thank you to our youngest sponsor Bo Boson (who used his birthday money to buy a raffle prize – 200 AED voucher from Virgin) to help raise money. (Collective – Awww). This event was held as a last meet up before everyone goes away for their summers holiday. The monthly coffee mornings will resume in September but we could host impromptu events over the summer. We have a lot of exciting events planned after summer so keep an eye on the Facebook page to stay updated.